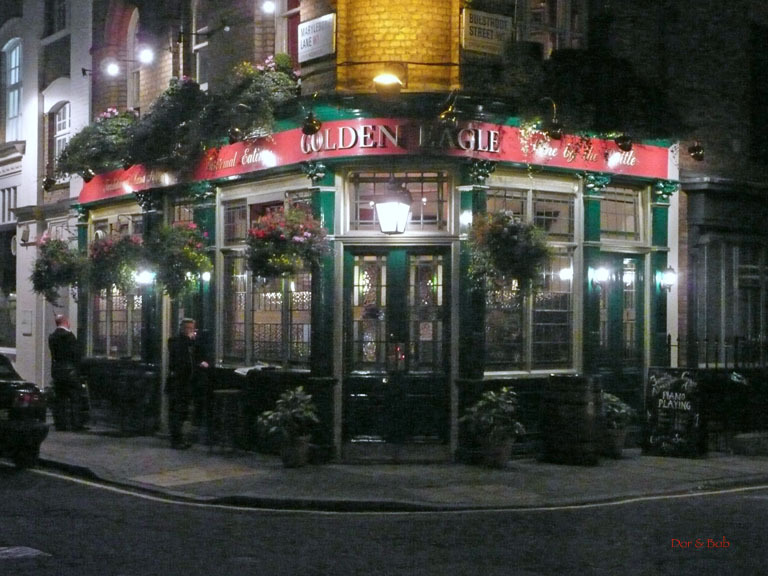 The Golden Eagle has a good comfortable pub atmosphere. 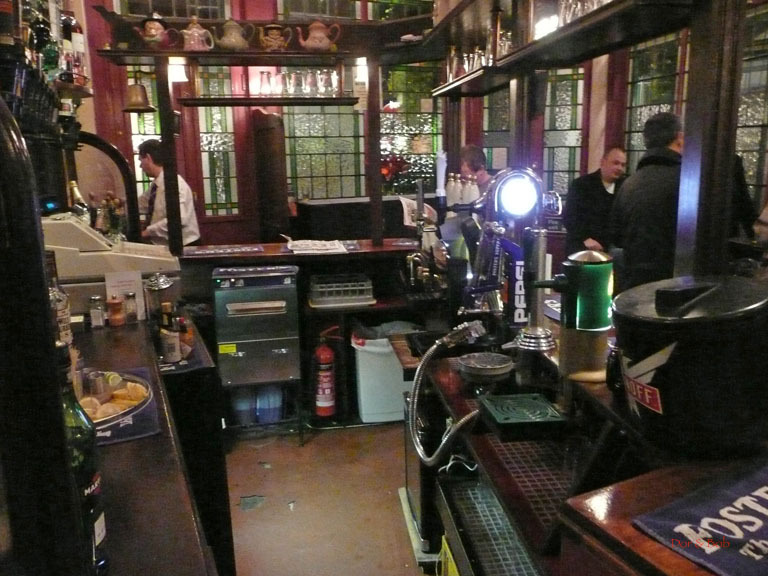 Itâ€™s a fairly small place with the bar in the middle. Itâ€™s an open space with tall windows, partially in stained glass colors. The walls are cream colored and there are dark red accents on the beams, around the windows, and on the wainscoting on the walls. Seating is on light green plush velvet benches that line the walls or green velvet padded stools. Tables are miscellaneous small cast iron tables with wooden tops. Thin columns painted to look like pink marble and with Corinthian/Ionic decorative capitals stand between each of the windows. 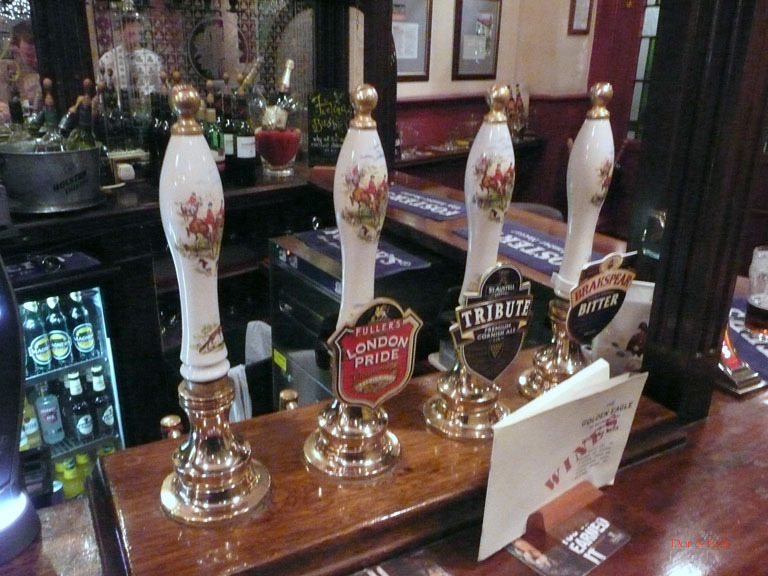 There were 3 real ale taps on our visit: Brakspear Bitter, Fullerâ€™s London Pride, and Youngâ€™s Tribute. It looked like a fourth ale is normally on tap.